Hey everyone! First of all a very Happy Valentines Day to you all! I know that there's a very mixed view on Valentines Day given the fact that we are meant to show our loved ones how much they mean to us everyday not just one day of the year but I personally like Valentines Day. I do agree that it can be very commercialised and that we are meant to show our love all year round not just on one day but as a girl I just love all the pink and red that appears into the shops and I love seeing soppy Valentines Cards and all the romantic films that appear. However I am single so you're like me I hope you are having a lovely day but if you are bored and need some ideas check out my previous post HERE. 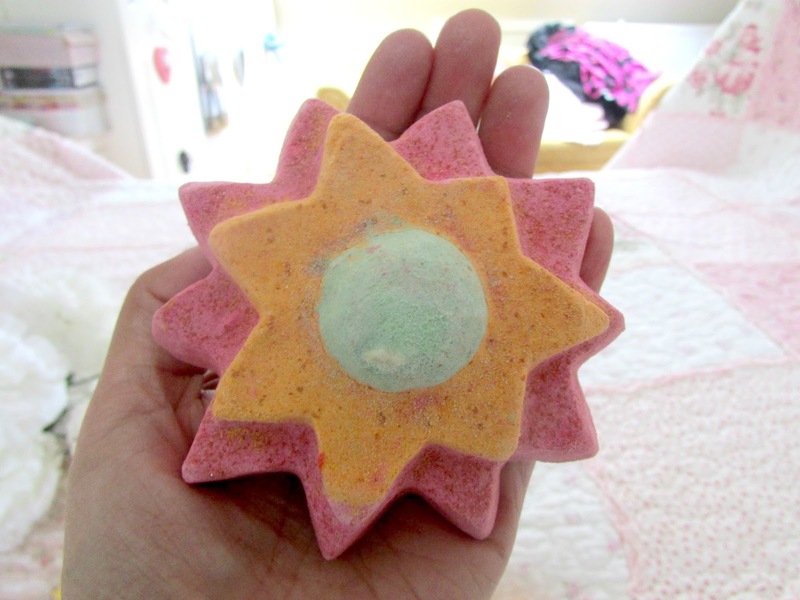 As you can tell from the title of this post I will be showing you the Lush valentines collection which I am planning on using to pamper myself with today. Valentines Day is just a normal day to me as like I've mentioned I'm single however I have used it this year to show my parents how much I love them. I've been baking treats in the kitchen all day and have cleaned the entire house too. I'm exhausted so now it's time to hit the bath with some of these gorgeous products. Just because I'm single doesn't mean I can't show myself some love too, right?! 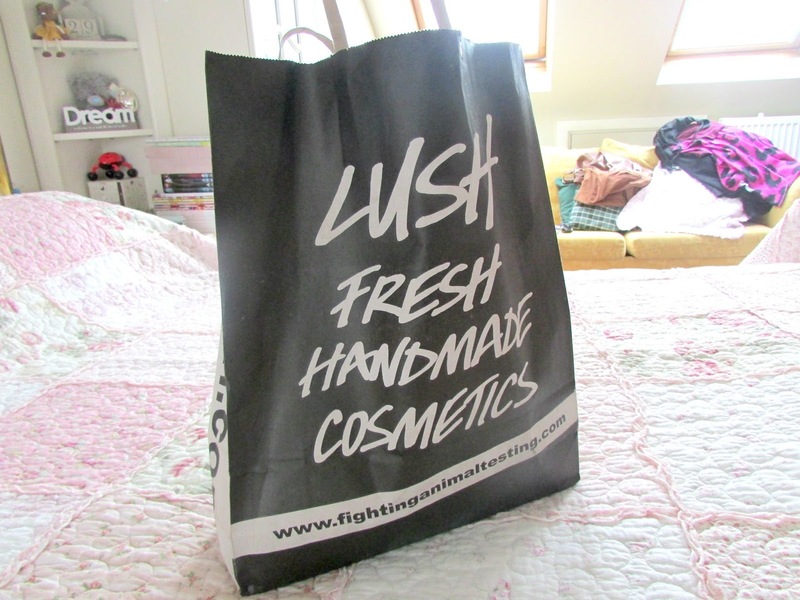 Lush is a brand that I never really dived into before. Since 2013 when I started to blog Lush was always a very popular topic and two years later that interest just seems to be increasing. I thought that it was about time I took a trip down there so a week or so ago I popped into Lush and bought a few goodies as you can see from the photo above. Check them all out below. 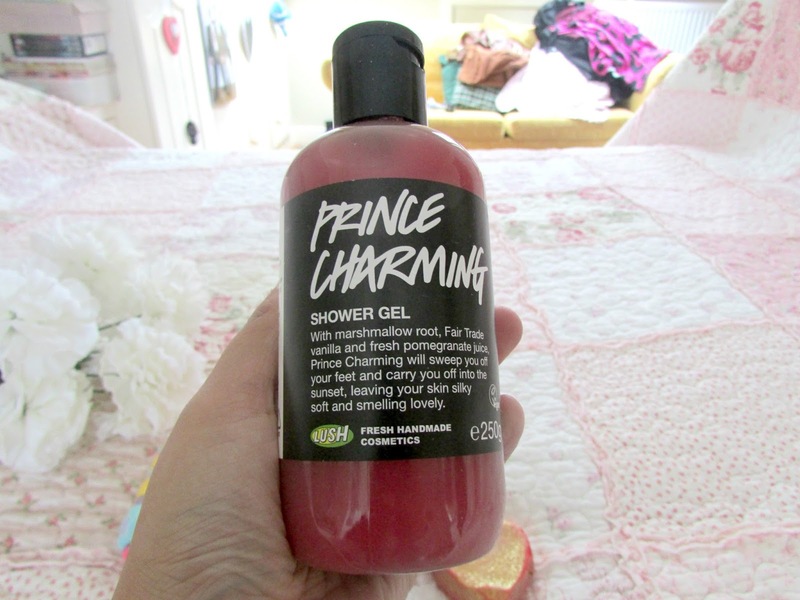 The first thing that I bought was the 'Prince Charming' shower gel. Now this stuff smells absolutely incredible. I didn't really go in there to purchase a shower gel, I was more interested in the bath bombs but I couldn't resist purchasing this. It smells absolutely incredible. I absolutely love sweet scents compared to floral scents and the fact this contains notes of vanilla and with a fruity twist made it a must buy for me. I've already used this a couple of times and I absolutely love it. My skin is always left feeling so soft and the scent really does linger after you've used it. I totally forgot to photograph the next product separately so I do apologize but the next thing I bought was the red heart bath bomb which is called Heart Throb. I absolutely love the fact that this product is red all over with a hint of gold glitter on the inside. This smells absolutely gorgeous too. It contains the gorgeous scents of frangipani absolute and geranium. I'm excited to run this under the water and see my bath turn a gorgeous red shade. Baths just tend to be more fun when colors are involved! The next thing I purchased was this gorgeous unicorn horn. I purely bought it as I just loved the pastel colors. I love the fact this doesn't have the standard typical red and pink colors that you would normally find with valentines day products. This product contains gorgeous lavender oil as well as neroli which are absolutely fabulous ingredients for your skin. I'm not usually a fan of lavander scented products as I find that they can be to overpowering and give me a headache however this smells incredible. How pretty is this too look at though? I almost don't want to use it! The next products is this absolutely gorgeous floating flower. 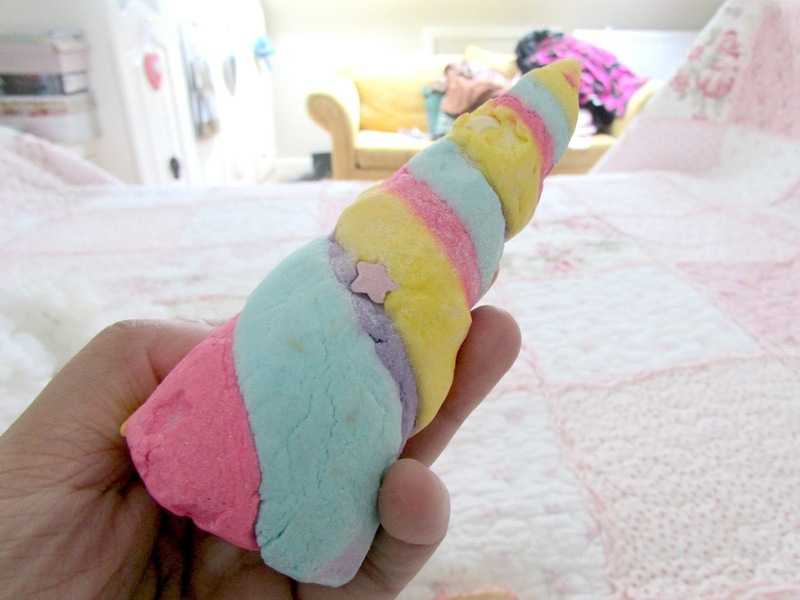 Like with the unicorn horn it has a bit of a pastel theme and I am planning on using this in the bath tonight. I'm so excited to see the colors that appear in the bath once I place this in. Now this beauty is pretty big! I absolutely love the name of it and the colors too. This bath bomb contains a few extra surprised inside. As it's called Love Locket you are expected to open it like you would a normal locket so you need to crack open the sides to reveal what's hidden inside. 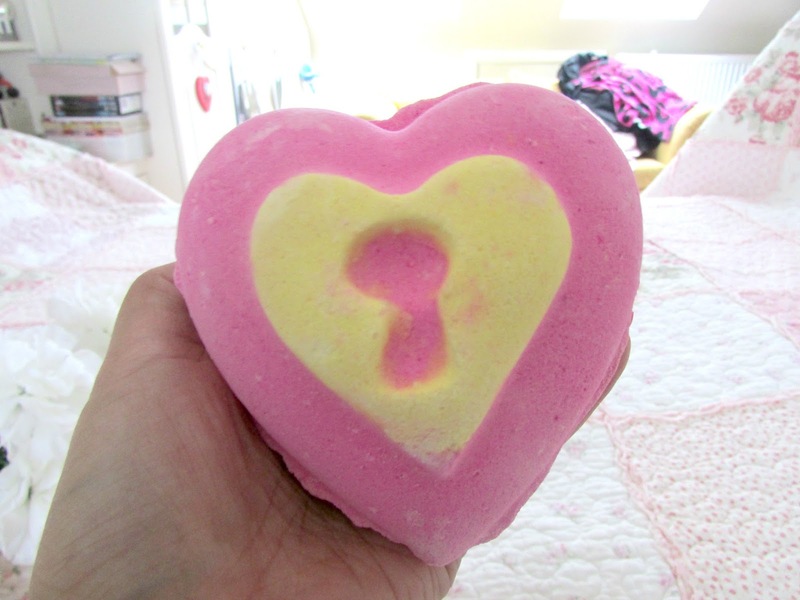 Apparently there are a few confetti hearts inside and it makes the bath water turn an absolutely gorgeous color so I am very excited to use this! I definitely think this is the most interesting of the bunch! 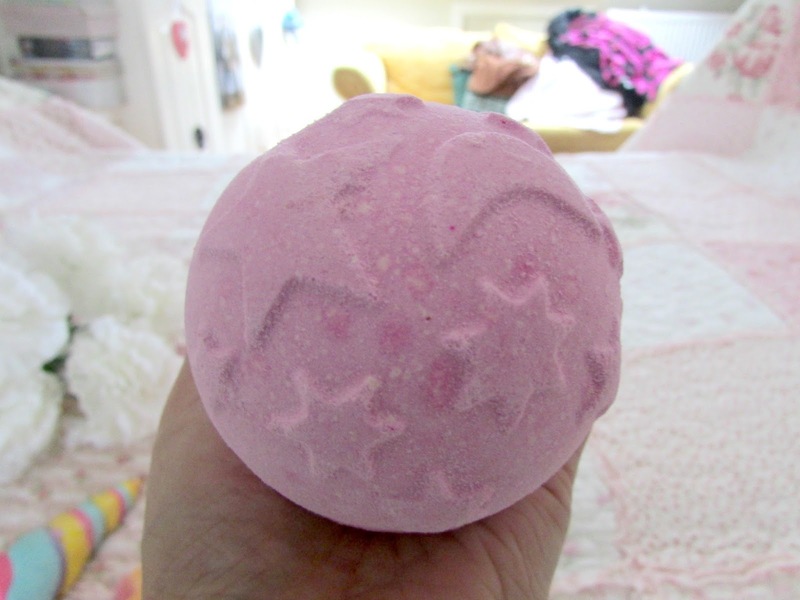 This is the gorgeous 'Lonely Heart' bubble bar from lush. I was a bit here and there about buying this product purely because of the glitter. I was worried it would be too messy. However I bought it anyway because it smells absolutely incredible. It contains notes of lemongrass, bergamot, jasmine and ylang ylang. I'm extremely excited to use this as I do love a good bubble bath. The next bath bomb I bought isn't part of Lush's valentines collection but I have heard so many good things about it and I know it's one of their best sellers that I couldn't resist purchasing it. This is the twilight bath bomb and I am so excited to see the amazing explosion of colors that will appear once I've used it! I've seen photos and I know it will be an absolutely stunning sight! I do apologize for the slight blurriness of this photo. This was another thing in Lush that I just couldn't resist buying. 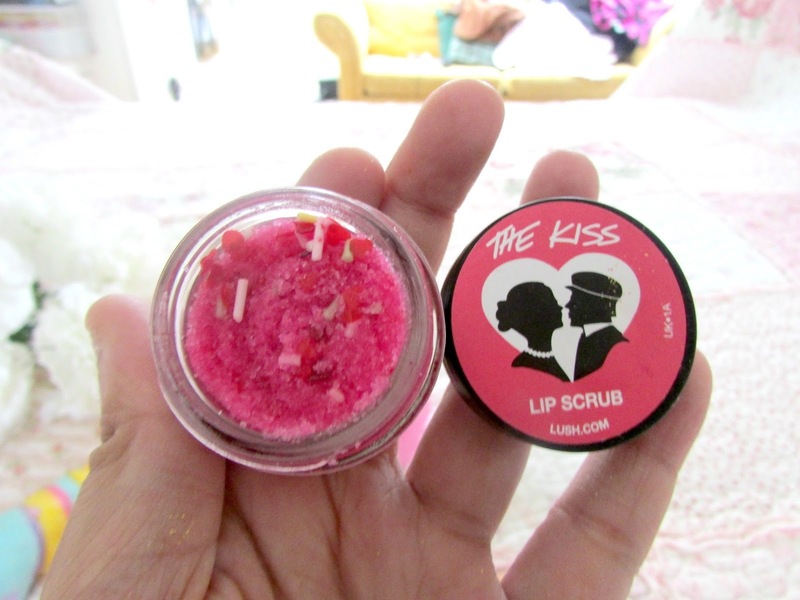 If you've been reading my blog for a while now then you will know how much I love the lush lip scrubs. Not only do they do an incredible job at removing the dead skin from your lips (obviously) but they also taste absolutely amazing. This special edition scrub not only contains the normal formula but also contains a few sugar strands within the scrub too which is a lovely touch. So that's some of the products from the Lush Valentines Collection. I know this post is extremely late. I actually took these photos the same day I bought these products which was last Saturday but then misplaced my camera. I don't know if these products will still be in store after today as they were limited edition for Valentines Day however if you head on over to the website HERE I'm sure you'll be able to make a quick online purchase. I hope you have a lovely rest of the day whatever you are doing. If you are going on a date or staying in I hope you have a fabulous time. I'm going to go and have my dinner, pop in the bath and then spend my night with three men who go by the name of Ryan Reyonds (or Gosling...I haven't decided yet) and Ben and Jerry. I mean what else does a girl need? Have you tried any of the Lush Valentines Collection? What's your all time favorite lush product? 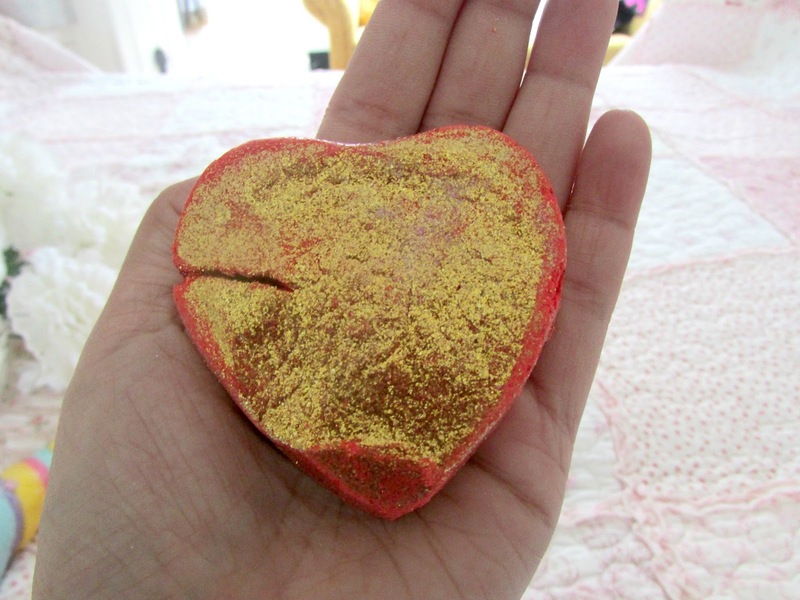 I havent tried any of the lush valentines products (I still have far too many christmas bath bombs to get through) but I really want to try the heart locket! Oh wow, amazing haul! I want it all haha! I've heard Prince Charming sounds amazing!! These products sound amazing, I really wanted to try the unicorn horn but unfortunately am allergic to lavender so have to skip it.